Hard wearing and practical. Will sit nicely on a shelf or desktop. 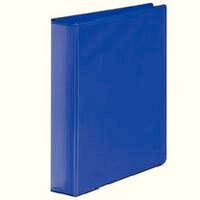 Ideal for home and office filing. 4 D-ring mechanism. Size: A4 (210x297mm). Supplied in a pack of 10. Approx Dimensions (CM): D51 W26.5 H33. Approx Weight (KG):6.